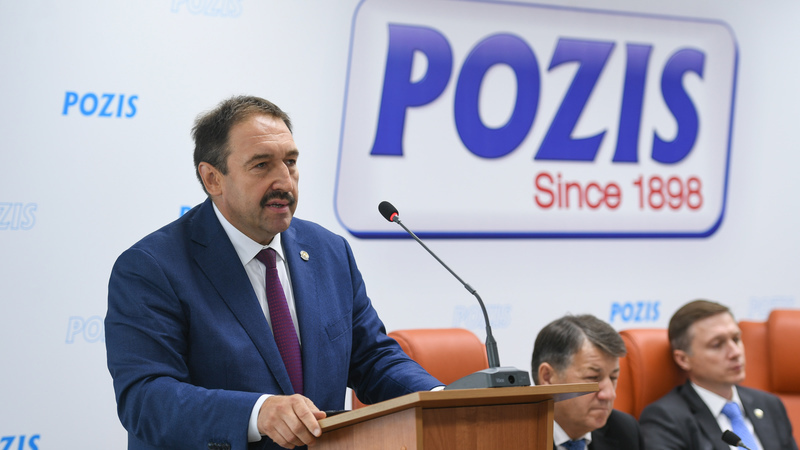 On August 1, at the Sergo Plant Production Association (POZIS), Acting Tatarstan President Aleksey Pesoshin took part in a meeting held by Minister of Industry and Trade of the republic Albert Karimov with participation of heads of enterprises on introducing digital technologies to imrpove labour efficiency in the industry of Tatarstan and production diversification practices at defense enterprises. Before the meeting, Pesoshin visited the POZIS household and medical equipment production facility. While looking around the production sites, Pesoshin was informed that the plant is constantly working to increase labour efficiency. Possible problems are found and solved, which makes it possible to cut losses. Today, the company is integrating lean principles into digital technology. As noted at the meeting, over the past five years, the savings from these measures have amounted to about 150 million roubles. During the meeting, representatives of a number of regional enterprises shared their experience in the introduction of digital solutions in production process to increase labor productivity. Speaking at the meeting, Acting Tatarstan President stressed that the expanding of digital technology has a significant impact on all areas of activity. Every branch of industry is experiencing a digital revolution that forces companies to transform business models, introduce innovative technologies and adapt to the rapidly changing user behavior. "In this regard, the industry traditionally has a key role, since your competitiveness depends on it," Pesoshin said. He said that a number of regional industrial enterprises have become deeply involved in digitalization processes. However, there are also some companies that take digital technologies in a pragmatic way, focusing on the critically necessary things to do business and do not hurry to invest in fundamentally new areas. "Unfortunately, heads of many enterprises do not fully understand the mechanism of application of digital methods and their effect. They show a conservative attitude towards innovations, especially in those sectors of industry and processes where high reliability is required, and in those departments where the notion of "breakthrough technologies" causes concern rather than enthusiasm,” Pesoshin stressed. He noted that some plants have poorly mastered even previous technology, such as computer-aided design and production management systems, electronic document management, automation of management and accounting processes, planning and supply chain management. "This means that there is a significant potential for increasing efficiency," Pesoshin noted.